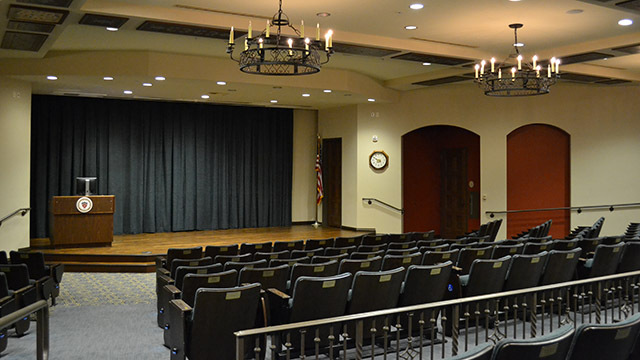 Thank you for your interest in reserving a space at USD's Mother Rosalie Hill Hall (MRH). Please see directions below to request a space. 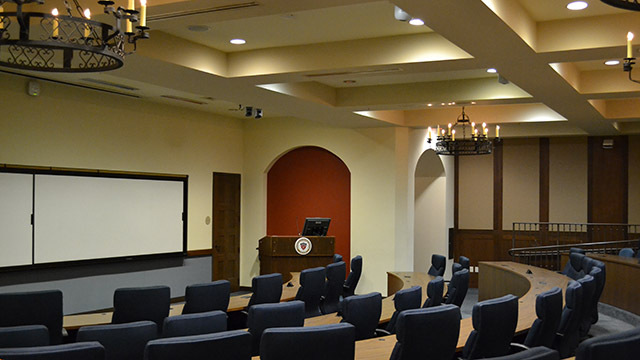 For an internal event or meeting space request please submit your request through USD's Virtual EMS System. Undergraduate student organizations must submit an event request through the Student Leadership Involvement Center and have the approved EvR forwarded to the event scheduler in MRH. The scheduler will then contact the student organization directly with the space confirmation. Graduate Student organizations must submit an event request through the Graduate Student Life Office and have the approved event forwarded to the event scheduler in MRH. The scheduler will then contact the student organization directly with the space confirmation. 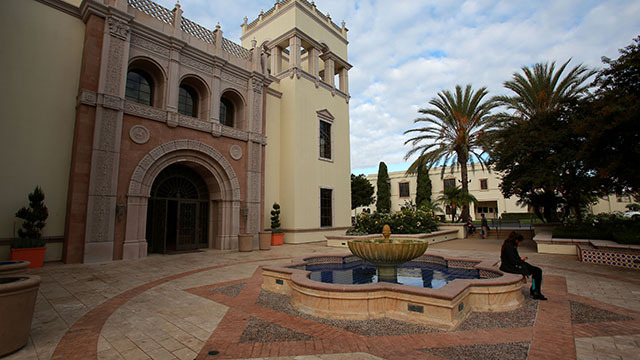 A co-sponsored event is an event by which an officially recognized USD student organization, department or school enters into an agreement with an off-campus group or organization for the purpose of offering a program jointly. 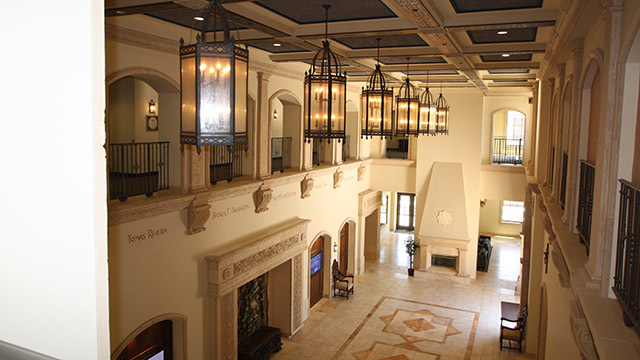 Co-sponsorship is appropriate when there is a clear connection with, or a contribution to the university. To request a space for a co-sponsored event a co-sponsorship form must be completed and approved by University Scheduling before any spaces can be reserved. External organizations who would like to request space in MRH will need to complete the External Guest Form. Once it has been approved by University Scheduling it will be forwarded to MRH's event scheduler who will then contact the coordinator for the external event/meeting for more details. 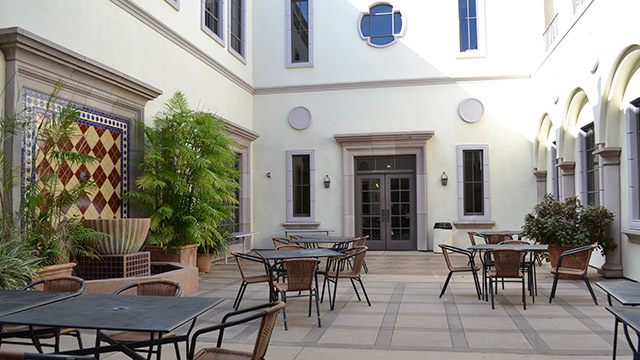 For any questions or comments please contact our office by emailing mrhevents@sandiego.edu. 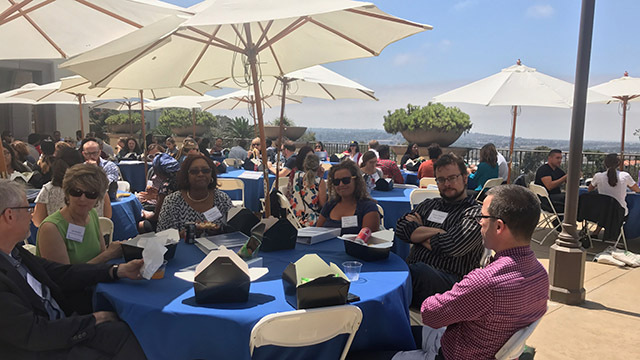 The USD School of Leadership and Education Sciences has a team of administrators, faculty, staff and students dedicated to supporting the use of technology for communication, instruction, research and professional development. 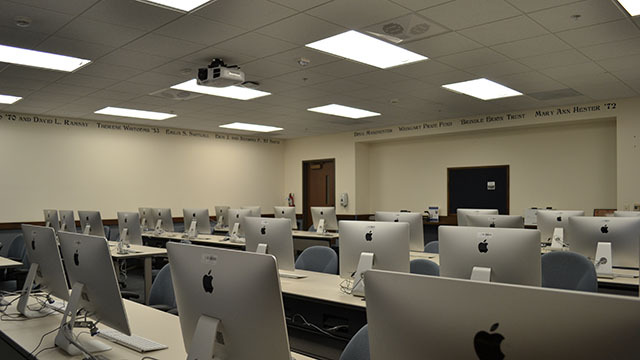 Resources within SOLES include smart classrooms, Macintosh and PC desktop and laptop computers and a student computer lab. 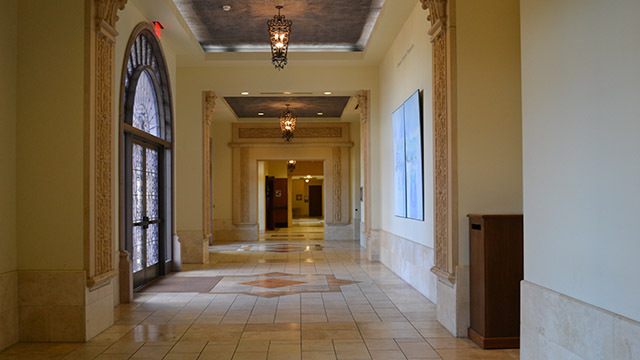 In addition to the SOLES facilities and technology support staff, there are several places on campus, both live and virtual, that promote the use of technology on and off campus. 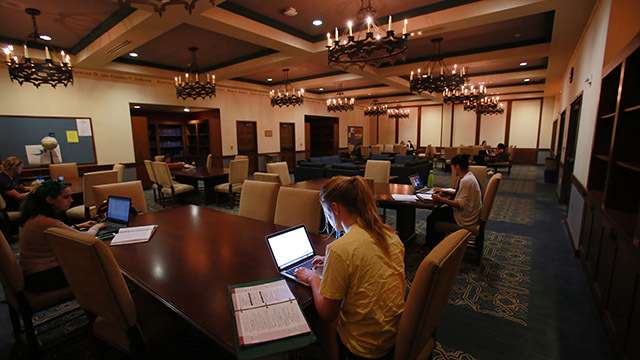 In addition to traditional learning spaces, other areas were designed for individual or group studying and work. 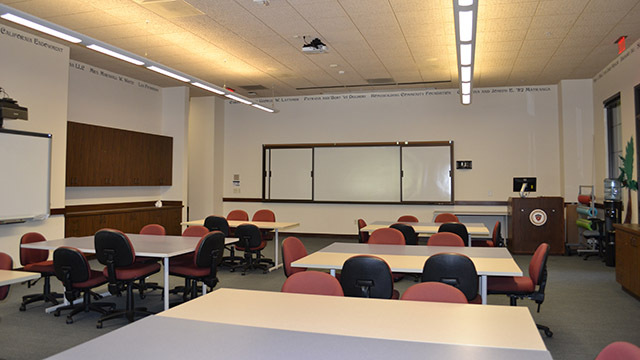 The space on the second floor also includes two desks with computers for drop in use. 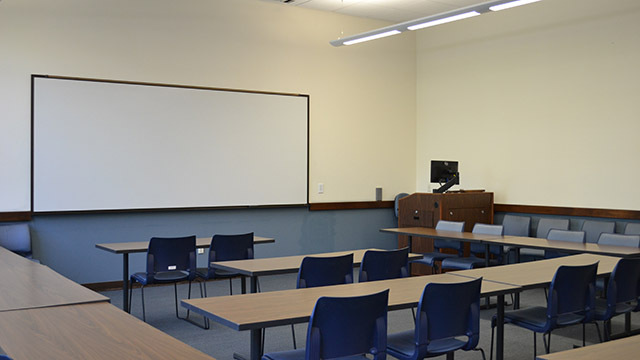 Observation/recording rooms for clinical work where students are able to observe and witness first-hand private interview sessions. 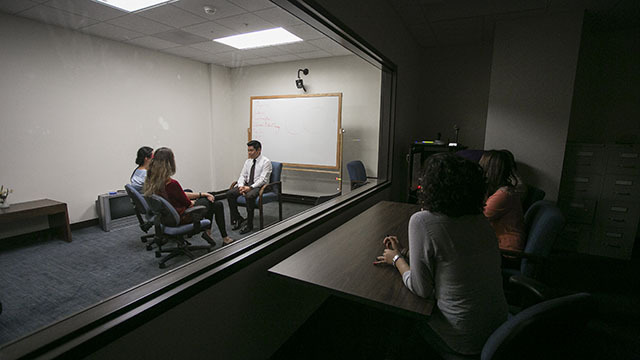 Observing through one-way glass or recording the interview session students can analyze the session with peers or later in a classroom setting. 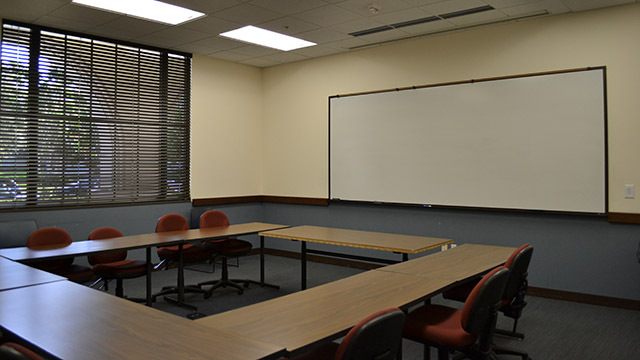 A formal quiet study room we call the "reading room" features executive back chairs, large tables and a library that houses all SOLES dissertations and theses. Living Room There are two open spaces that we call "living rooms" where students can either gather to study, work on projects or simply socialize. 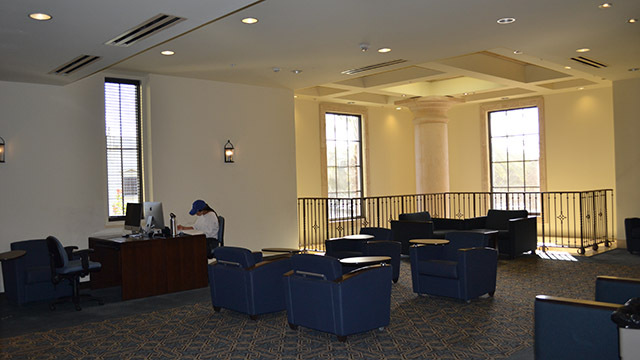 Wireless routers are conveniently located so that students can easily access the Internet.